After a long wait final the Samsung Galaxy S8/S8+ (Exynos) user can install the Android Oreo on Samsung Galaxy S8/S8+ android phones. Yes, the new OREO Firmware is released for the phone and many users already updated their phone with this new OREO update. This is the first stable release of Android 8.0 OREO for any Samsung devices and comes with lots of new features and improvements. Some of the new features on their OREO updater are picture-in-picture mode, notification channels, background app optimizations, notification snoozing, and more. The best part of this new update is that it comes with the latest February security patches. A few Days back Samsung Galaxy Note8 receive the OREO update and now the Android Oreo on Samsung Galaxy S8/S8+ (Exynos). 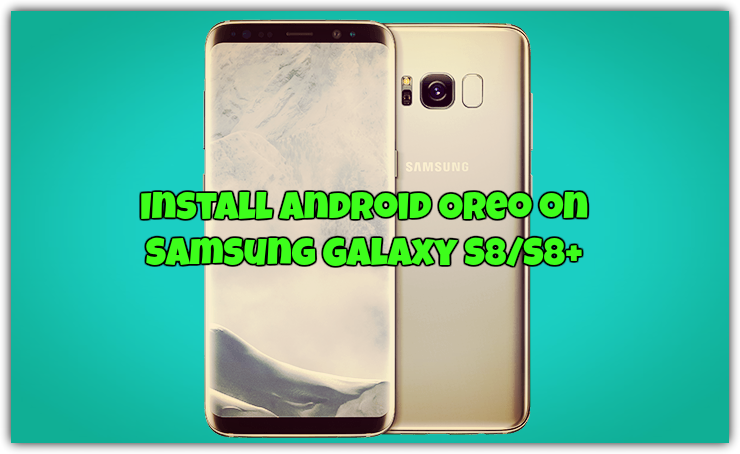 If you want to update your phone with this latest build, then follow the below mention guide and install Android Oreo on Samsung Galaxy S8/S8+ (Exynos) models. This tutorial will work on almost all Exynos Galaxy S8 and Galaxy S8+ devices except for Korean and Duos Exynos users. This method will work only on the Samsung Galaxy S8/S8+ Exynos Variant. Don’t try this on any other device. Follow the steps correctly otherwise you may brick your device. And make sure that your phone battery is above 70% and do take the full backup of your phone. G950F model users download these files: AQL5 Odin and AQL5 to CRAP. G955F model users download these files: AQL5 Odin, AQL5 to ZRA5, and ZRA5 to CRAP. 2. Now download the AQL5 ODIN file for your model from the above mention links and unzip the folder on your desktop. 5. Click the BL button and navigate to your Odin firmware folder where you extracted your files, and then click the file starting with BL. Do the same for AP, CP, and HOME_CSC. And that’s it! Now your Exynos Galaxy S8/S8+ models should be running the official release of Android Oreo! If you have any doubts or facing some problem, then leave the comments below, and we will help you to fix it up.